Life Noted Show & Tell Contest Winner November 2018! Congratulations to the November winner of our Life Noted Show & Tell Contest: @pennyshima ! 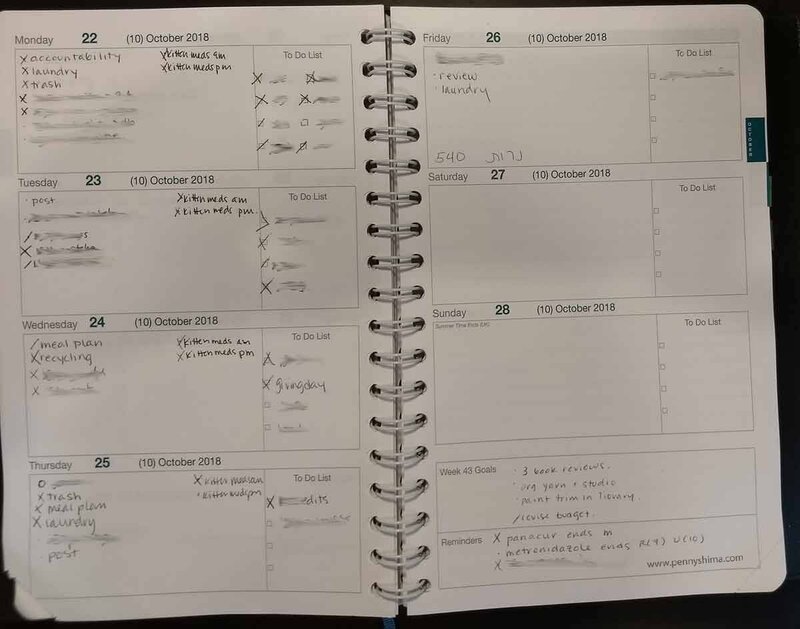 You might remember her recent post showing details of how she uses a bullet journaling system in her Life Noted planner. She also has great photos on her Instagram showing her Life Noted planner in use and how she uses it along with her bullet journal notebook. You can see a recent one here, her desk with her Life Noted planner and notebooks here, and planning on the go here. Be sure to follow @pennyshima for more photos of her Life Noted planner in action! Thank you so much Penny for showing us how you use your Life Noted planner, I’m so glad you love it! Congratulations on winning next year’s planner, you will be able to stay organized and motivated well into the future! We are running this giveaway contest every month until February 2019: Show us how you use your Life Noted planner for your chance to win next year’s Life Noted planner! Enter as many times as you want to increase your chances of winning! Click here to see all the details and rules. The Life Noted is our brand new planner, designed to help you set and track your goals all year! Click here for more information about the Life Noted planner! To order the Life Noted planner in the USA click here, and to order the Life Noted planner in the UK (with worldwide shipping) click here. Life Noted Show & Tell Contest Winner October 2018! Life Noted Show & Tell Contest Winner Sept 2018! Life Noted Show & Tell Contest! Announcements, Bullet Journal, Homepage Carousel Life Noted. permalink. Video showing how Clairefontaine paper is made!